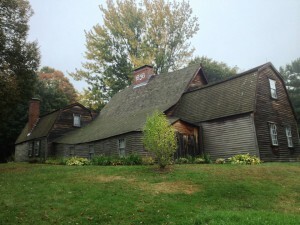 The Fairbanks House in 2012. I was recently a guest lecturer for a graduate museum studies class as part of the American Indian Studies program at Minnesota State University, Mankato. When I agreed to speak to the class I assumed I would be focusing on my academic work: my work as a public historian, work outside of genealogy. I was surprised to find that the students were most interested in discussing my genealogical work in the context of public history. This got me thinking about the relationship between public history and genealogy. Public history is most simply defined as the study of how the general public engages with history, whether that be at historic sites, archives, government agencies, or even corporations. Genealogy was not a subject area that was explored in my graduate work in public history, though I strongly believe it should be a part of any public historian’s studies. Some genealogical work is often required for many of the positions filled by public history practitioners. In my own career I have used genealogy in museums, historic houses, and in my work for the National Park Service. I would argue that skills from both fields can work to enhance each other and enrich our understanding of our past, our present, and how we relate to each other and the world around us. A strong example of how genealogy plays an important role in public history is in the work of practitioners at historic house museums. My time as the curator at the Fairbanks House in Dedham, Massachusetts, just prior to my appointment in Research Services here at NEHGS, made clear to me the importance of genealogy to the public. An historic house is not only boring but is also essentially lacking in significance if not for the stories of the people who once made it their home. In developing tours, educating school children, and processing collections, my days were filled with genealogical research on the Fairbanks family. Without the personal connection to the people who lived in the space, any information we provided about lifestyles of the past or the architecture of the house just did not reach guests in the same capacity. I realized that when recounting the lives of these ordinary people while giving tours or lectures on the Fairbanks House, I was not only acting as a public historian but as a public genealogist. I was bringing genealogy to an audience of people who might not themselves be family historians. In public history we often discuss how the ways we relate to the past can be dictated by where we see ourselves in the present. The past can provide meaning to us in our current lives. Genealogy is often the study of ordinary people, but it is our connection to our ancestors that makes the past more meaningful for us. It seems to me the two fields are essential to one another, and that perhaps we need more public genealogists. Thank you for you for pointing that out. It was not intended to mean that one should not speak to visitors whose interests are the architecture, historic preservation, or material culture. I have given many tours which focus on those elements that did not fully emphasize the inhabitants of the home. However, I would argue that even when discussing those aspects of a historic house a background knowledge of the people that built the house, lived in it, and used its contents is essential. When discussing architecture, you need to have some idea of who built it and how it compares to others structures in the area. This requires some knowledge of the family, their needs, and how they relate to their neighbors. When emphasizing material culture, without some context of how and why an object was used by the family it is hard to make a connection as to its purpose in the home. Even when focusing on the history of preservation you have to talk about the people who helped to preserve it. People created and preserved the building and the objects, so I would argue that study of those people is essential to creating a meaningful narrative in any historic space. My point is to say that genealogy and the study of the people who lived in a space is what brings all elements of the house to life. It serves to enhance and not diminish the experience regardless of your primary interests. I am very glad that you bought up these critical points when you said, “You also ignore those people who are interested in material culture and its study and those who are intrigued by the technology of historic preservation and even the history itself of historic preservation”. For it is material culture that supports the written document and refutes or enhances it. And furthermore when the written document does not exist as is often the case – a study of material culture in itself can supply the history and fill the gaps. I am finding furthermore that most people are fascinated by the past especially when their own ancestors were involved and love roaming around those old homesteads. Thank you for your comment! I think you are absolutely right about the importance of material culture as a document of the past and that people are fascinated by the people of the past. This is a great complement to the argument that the study of material culture and genealogy are both important in the interpretation of an historic home. Amen! I speak regularly to our undergraduate public history students. I try to emphasize that they will run into situations where genealogical knowledge and skills will help them solve the problem. I was a genealogist before I became an archivist and I use my genealogical skills almost daily with archival queries. Thank you, Karen, for your comment. I hope that more Public History programs will incorporate genealogical training in the future. Fairbanks, was born in Winnebago, MN. Thank you for you comments and taking the Dedham story west. Thank you for your comment! I hope one day you have the opportunity to revisit your ancestral home! It truly is a unique and fascinating house. As a former reference archivist and current special collections archivist, I couldn’t agree more! Well said! I also found when I was working in archives that I was using genealogy all the time while researching and processing collections. I certainly wish I had been introduced to the genealogy earlier in my career. Ouch! If David Daly had not already responded regarding the red flag call of ‘boring’ historic houses, I would have been first. You do later write that different disciplines enhance each other, and I wish that would have been the take-away. As a licensed architect with a master’s in historic preservation, I came to genealogy through the back door. My research skills come from writing house histories first. These skills translate well. I’m as much at home in an archive as I am crawling around in an attic, but ‘reading’ a house is second nature. Knowledge of building technology and local trends give me a picture of the people who made the choice to build it. The changes over decades or centuries give me an idea of the situation of the several families who may have inhabited it over time. Yes, these are things which may or may not be confirmed with genealogical research, so I’m not dismissing that. I guess what I’m trying to say is that clues run in both directions, and the entry point of interest is just that, an entry point. Placing a judgment of the value of one over the other does both a disservice. When I teach genealogists how to look at a building and dissect the pieces for clues, they will often come back with stories of how much information was in plain sight when these ideas were applied to their own environments. To greatly paraphrase Will Rogers, I guess I’ve never met a building that I thought was boring. I am so glad that this is generating so much discussion! You are absolutely right that the take away should be an argument for more integration of disciplines. I have often found that many disciplines overlook the value of genealogical skills in their own practice or they are practicing genealogy without even realizing it. As you said yourself, you came to genealogy “through the back door.” My argument is that if the public history field acknowledged the value of genealogy and incorporated it into their coursework then more practitioners would be able to integrate those skills into their practice early in their careers to enhance their work and their understanding of what they are studying. Perhaps it is harsh to say that historic houses are boring on their own. I also have never met a building that I found boring, but it is often because I am curious about the people who built them and how and why they made their decisions in the building process. There is always a human component to the built world. I believe, as you point out, that buildings and material objects can be read for clues about the past just like a document. The ability to do this is vital to most work in the public history field. But when piecing together a holistic narrative and view into the past understanding the people who created the buildings and objects is crucial. As someone who has also given many tours and compiled data from surveys of visitor experiences, I also believe that for many guests anecdotes and personal stories are how people relate to the house and the material objects inside. I strongly believe that an understanding of the the human history of a home or any historic site is essential to fully appreciate its significance. While I have ancestors who lived in houses in New England and New Netherland more than 300 years ago, I grew up in Seattle, a city that celebrated its centennial during my childhood. As such, it had and has a very different view of “old” houses and other buildings than older parts of the country do. Buildings began to be torn down almost as soon as they were built in order to make way for better, more “sophisticated” ones. An 1889 fire destroyed almost all the central part of the city. Only a few 19th c. buildings remain, and when new construction finds remnants of pioneer buildings, regulations don’t require archaeological excavation unless Native American remnants are found. This strikes me as such a loss when I read of it in the papers. I’ve never had a chance to go through an old building in the East, and find this thread of discussion fascinating. I find buildings fascinating, never boring (except maybe modern high rise concrete-and-glass office towers), and I suspect Meaghan didn’t really mean that word, exactly! I think she would agree with LSMiranda that whatever the entry point for someone is the “right” entry point. Architecture and the history of the building itself and the genealogy of the people who have lived in or used the building are both important entry points. I think each enriches our understanding of any old building. A particular person’s prior experience may make one a more logical starting place. Thank you for your comment! I think you are right that it seems I chose too divisive of a word to make that point that genealogy is essential in the study and interpretation of historic buildings. Different guests have different interests but the study of all of those elements by the staff is essential in developing an interpretation of the site. In my experience I have found that even those interested in the structure or material culture require some context of the family that lived in the home. Due to this, the staff needs to study the genealogy of the occupants even if they are not presenting all of it to the visitors. I hope you have the chance to come and visit some of our old buildings on the East coast! There are, of course, those who are most interested in old buildings for the technical points of the construction. There are also those who are curious about the way people lived in the building but not specifically the family. If these folks care about the buildings enough to support financially or otherwise the preservation of them, we have to appreciate them. I live out on the left coast, our oldest houses may be almost 150 years old, so when I can visit an old home in the east, I am so thrilled. I was able to go through the Leffingwell house in Norwich CT and that experience was enhanced by knowing my ancestors were there. It was unfortunate that the docents pooh poohed my ancestry. My point is that the people including those through the generations who lived in the buildings may or may not add to the experience. The historical events they lived through may be the draw. If those showing the buildings include bits of all of the facets they can and then be able expand on any one of these, that is the best! If as you said the docents “pooh poohed my ancestry” than what are they doing there ? I do find that recent European immigrants to the United States often give little credence and in fact often snub the ancestry of the descendants of the colonials. Somewhat odd in that it was the former that paved the way for the latter and you do find many Mayflower ancestors of modest means ! Thank you for your comment! You are absolutely right that people of different interests that draw them to an historic home. I agree that the a best experiences are those that incorporate a number of elements and can expand on topics depending on the visitor’s interests. I love this article I totally agree that genealogy and public history go together! Do you know of any public history programs that currently incorporate geneology? I am not aware of any public history programs that are currently teaching genealogical skills. If you hear of any, I would love to know about them! Having given hundreds of tours at the Alden House in Duxbury, I understand completely what you mean about houses being construed as boring — ask anyone in the general public if they would rather go visit an old house or be at the beach and we all know the answer. The audience here at vita-brevis is not typical! That said, once you can get someone into the house it all changes. Each tour is individual, depending upon the viewers. I’ve been through with architectural guys who have actually told me to stop talking about people because they were only interested in the beams! To others, the inside of the house is unexpectedly interesting and they respond to learning how the house was built — we are lucky to have a scale model to demonstrate. Alden descendants, of course, consider the place a holy grail, but foreign visitors and non-Aldens, no matter when their families came to America, all know the Alden story before they come, and all are eager to experience the family and house, inseparable. I am also a Fairbanks descendant, but haven’t been over to that house in decades, so it is time for me to get there again.